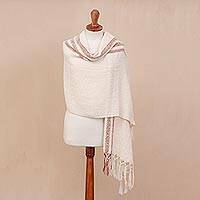 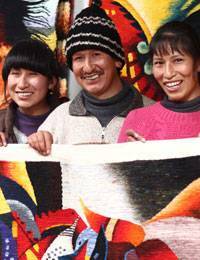 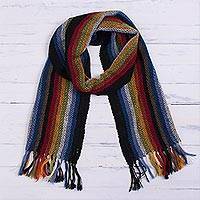 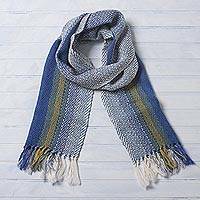 Peru's Ulloa Family works together to create this beautiful scarf, diligently handwoven of an alpaca wool blend on an artisanal loom. 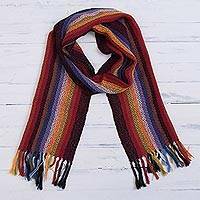 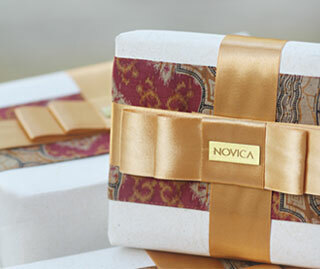 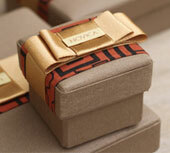 With an original design, the scarf features stripes of warm colors that express a love for the sunset. 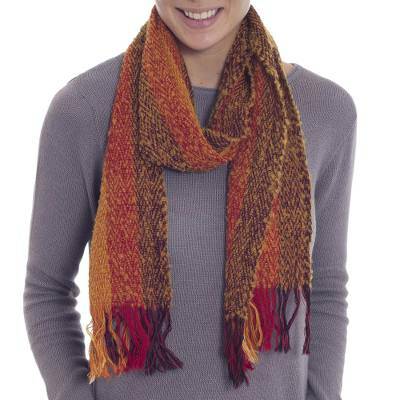 Fringes finish this cozy cold-weather accessory at each end.